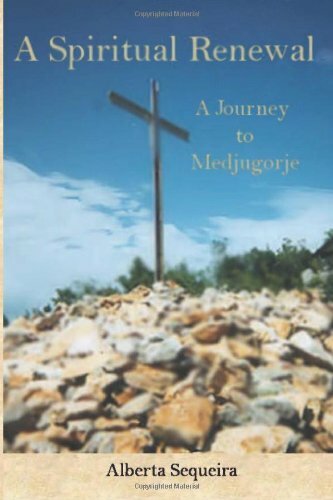 I'd like to tell you about my book A Spiritual Renewal: A Journey to Medjugorje. Men may look at my book as "girly." It's far from the truth. It's about my relationship with my father, Brigadier General, Albert L. Gramm, before he died in 1990 from cancer. He had been one of the commanding officers for the 26th Yankee Division during WWII, fighting in some famous battles like, Lorraine, Metz and The Battle of the Bulge. What do all children from military families do? We don't ask questions about our loved ones who served in the service..any branch. When they are dying, we realize we let history go without knowing who they were and what they sacrificed for us. I saw the religious side of my father his last 2 weeks of life, while he struggled to concentration on his rosary. I learned...too late, that he had promised The Blessed Mother that if she got him home safely to his family after the war, he would say the rosary the rest of his life. That was why it was so important for him to hold the beads in his hands. My sister led the prayer when he couldn't say them. It was in my forties that I learned this beautiful prayer for the first time since getting a rosary after First Communion. It's a story of Jesus and Mary's life. I have his rosaries and I say them daily. They were the ones that I had taken in 1998 to Medjugorje, and a year later, the chain turned gold. I wrote about the testimonies from other veterans who served with him or knew him. They talked about the reality of war. War in foreign countries that we pray do not happen on our land of the USA. With todays way of life, and the threats hanging from other countries, it could happen. I end by writing about the three miracles that happened to me to bring me to Medjugorje in Bosnia. A trip my father wanted to make hoping for his miracle but became too weak. It's there in that tiny, remote village, and after seeing four out of six visionaries having apparitions with Our Lady (since 1981 and still daily) that I returned to my lost faith. It doesn't matter which denomination you belong to, miracles are happening to millions who make the trip to this holy place. It brought God back into my life. I realized that I not only needed Him, but I want Him. It's a story of love, miracles and family. It's a book for all. Christmas is not that far off. It would be a great book to put in someone's stockings! My other books are a gift to a loved one fighting their alcohol or drug addiction. Family members are struggling to help when recoveries are slow. They are books for all. Hopefully, my books will be like potato chips....you start on one and want to finish them all!! ***As always, I love reviews.